Motorola has launched their latest smartphone named 'Motorola Moto Turbo' in Indian market.The price tag of the smartphone is Rs.41, 999.The handset is available for pre-order from 9th March on Flipkart. On the specification front, Motorola Moto Turbo sports with 5.2-inch AMOLED screen display with a resolution of 2560x1440 HD pixels. The Moto Turbo is chipped with a 2.7 GHz Qualcomm Snapdragon 805 quad core processor with 3 GB of RAM. It runs on OS Android 5.0 (Lollipop). 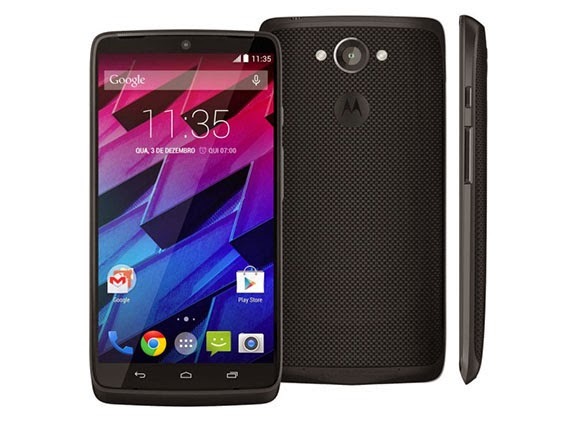 Motorola Moto Turbo comes with 21MP rear camera with dual led, auto focus and 2 MP front-facing camera. Moto Turbo comes with 64 GB of inbuilt (internal) storage. The dimensions of the smartphone are 73.3x143.5x8.3 mm and it weighs 166 g.Moto Turbo is available in only one colour Black. On the connectivity front, Motorola Moto Turbo comes with 3G, NFC, EDGE, Wi-Fi, Bluetooth and Micro-USB audio jack and it supports single SIM connectivity. The battery capacity for Motorola Moto Turbo is loaded with 3900 mAh. Other features of the device include Sensor Hub, Accelerometer, Gyroscope, Hall Effect Sensor, Ambient Light Sensor, IR, Proximity Sensor and Magnetometer. Things you’ll find inside the box of Motorola Moto Turbo smartphone are Handset, Earphones and Turbo Charger which also includes 1 year manufacturer warranty for Phone and for in the box accessories.